Bulk shopping isn’t exactly a new concept – we’ve been filling the trunks of our cars and SUVs with oversized products from those mammoth box stores for years. But. Westportnow.com Anna-Liisa Nixon Westporters Tara and Tony DiPippa, along with Newtown residents Cynthia and John Boccuzzi, have opened BD Provisions, a bulk food store with an emphasis on. https://www.newtownbee.com/%E2%80%98chopped%E2%80%99-winner-leads-cooking-demo-bd-provisions/02222019Newtown Bee By Alissa Silber Published: February 22, 2019 at 07:00 am The alluring aroma of spices filled the entryway of BD Provisions as culinary instructor and June 2011 Food. Original article from marthastewart.com –> https://www.marthastewart.com/1535413/zero-waste-grocery-stores-package-free January 16, 2019 Are Zero-Waste Grocery Stores the New Way to Shop? Here are a few of our favorites. By Alexandra Lim-Chua Wee PHOTOGRAPHY. John Boccuzzi, Jr is taking the motto of his recently opened business to heart. Source By Alissa Silber Published: January 05, 2019 at 07:00 am In Newtown, individuals have been doing their part to reduce single-use plastics by using reusable water bottles, requesting restaurants. 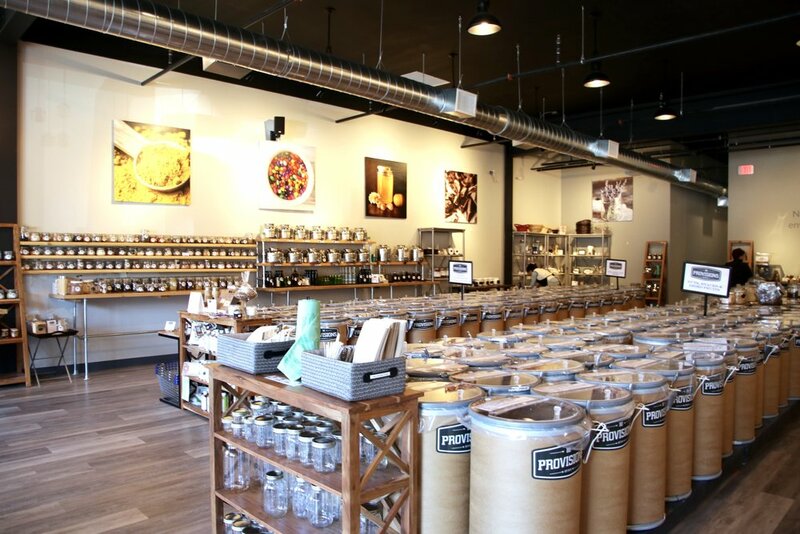 A pair of former Edible Arrangements executives are putting a new spin on that name by opening BD Provisions — offering what they call “a carefully curated collection” of bulk foods, coffee and health and beauty items — in Newtown.